After a long, cold winter and with the recent arrival of spring, people and their pets are eager to get outside and enjoy the nice weather! Is your pet ready for spring? Take a look at the following recommendations to ensure your pet’s health and safety while we head into a new season. Most intestinal parasites are dormant or inactive over the winter but become active once again when spring arrives. Ticks prefer mild to warm conditions and are generally active from May-July. 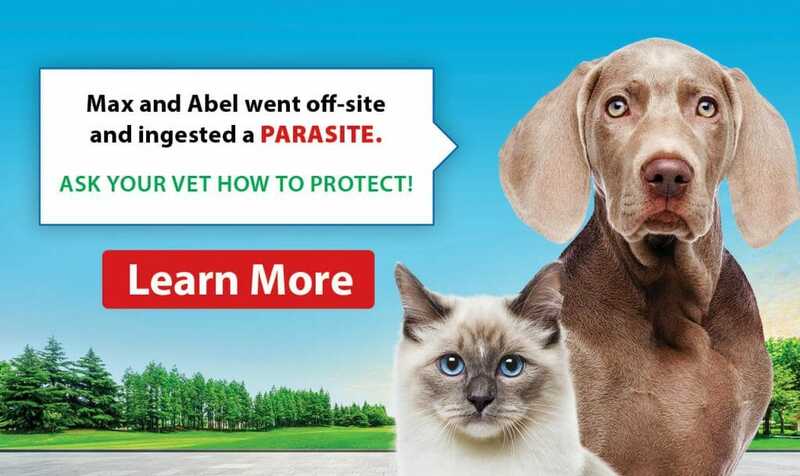 Spring is a great time to consider parasite prevention for your pet! A deworming and tick/flea prevention protocol can be customized to your pet depending on such factors as lifestyle (indoor or outdoor), exposure to other animals (dog park, doggy daycare, kennel, etc. ), and any travel plans you may have for your pet. Please refer to our other blogs on Intestinal Parasites and Tick Identification or come in and chat with us for more information on internal and external parasites. Just like us, many animals can suffer from seasonal allergies. Allergens can include grass, pollen, plants and flowers. Observe your pet for signs of an allergic reaction like sneezing, watery eyes, excessive scratching and hives on the skin. If any of the symptoms are seen, consult with your veterinarian for a course of action. Minor allergies can often be controlled with over-the-counter antihistamines (as recommended and dosed by a veterinarian) or even by more frequent bathing to remove allergens from the fur or skin. Washing your pets’ bedding with a mild detergent can help remove dust and allergens as well. Now that the weather is nice, pets are spending more time outdoors. It is always a good idea to do a thorough inspection of your yard after winter, looking for any broken fence posts or compromised areas that your pet could potentially escape from. 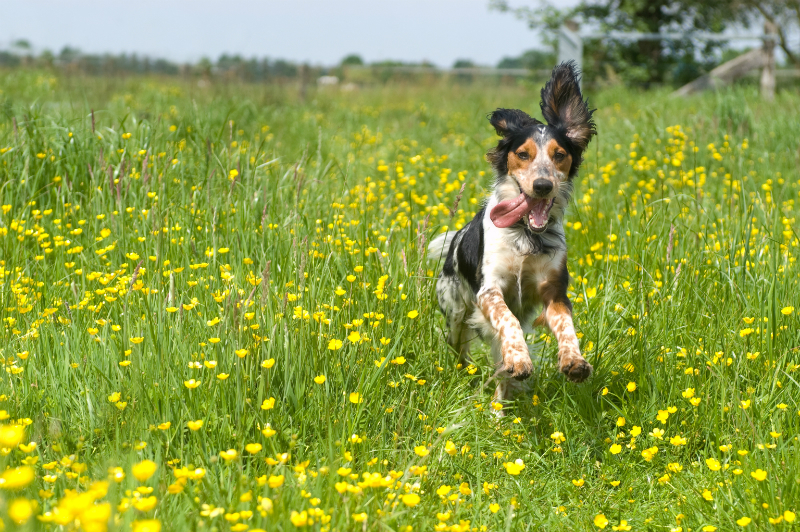 If your pet has a tendency to wander, you may want to consider a microchip. A microchip is a permanent form of identification; it is a small chip (about the size of a grain of rice) that is implanted subcutaneously (just under the skin) between an animals’ shoulder blades. The chip has a unique number that is registered to your pet; it can be scanned by a special machine at a vet clinic or human society and traced directly back to you. If your pet is already microchipped, make sure your contact information is up to date. Pet’s adopted from rescues will usually have a microchip but are typically registered to the rescue organization rather than the adopter. Contact the microchip company to have the information updated. Not sure if your pet is microchipped? We can easily scan your pet, it takes a few seconds and is free of charge! A collar with ID tags is also a good form of identification, but make sure tags are legible and up to date. ID tags may include a personal tag with the pet’s name and owner’s contact information, a Rabies tag provided by your vet at the time of vaccine administration or a City License tag (available through the City of Saskatoon and many vet clinics and vendors around the city). For cats who go outside and wear collars, we recommend a break-away style collar to prevent any unfortunate accidents. Spaying or neutering an intact (not spayed or neutered) pet can also decrease wandering tendencies and other undesirable behaviours. 4. Lose That Winter Weight! 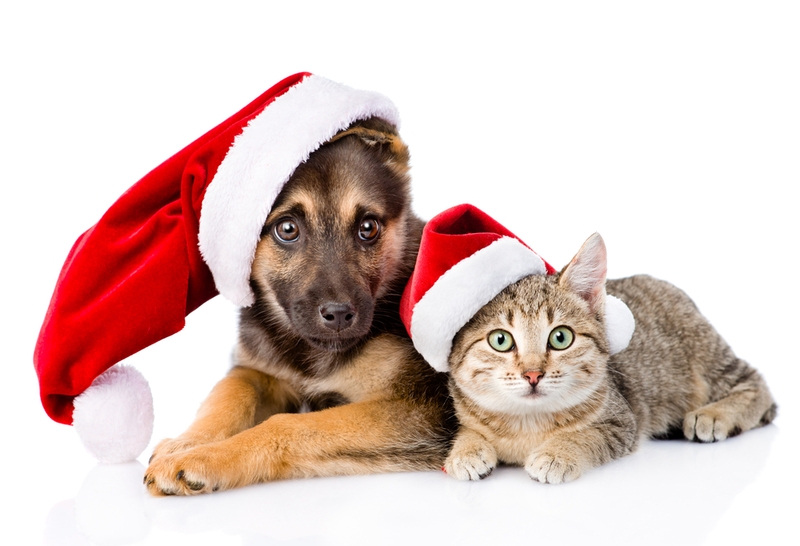 Due to decreased activity levels in winter, many pets tend to gain weight. As warmer weather approaches, it’s the perfect time to get out and get active and shed those excess pounds! It’s important to remember to ease into an exercise routine, too much too fast can be hard on pets. It’s best to slowly increase the activity level, gradually building up to longer walks or runs, etc. Now is a great time to come in for a weight check on your pet to establish a baseline so we can monitor the progress over the next few months! We can help create a weight loss plan for your furry friend. Out with the old, in with the new! You may notice that your cat or dog has been shedding his or her winter coat lately. Routine brushing with a brush or a de-shedding tool can reduce the amount of pet fur in your home (a recommendation on what kind of grooming tool to use can be made). A good scrub in the bath with a pet-specific shampoo can also help. Shaving and clipping down long fur or mats is a good idea to help keep pets cool and comfortable in the warmer months. The nails should regularly be trimmed year-round. If grooming your pet at home isn’t a good option, or your pet requires a professional groom, we can recommend you to many great groomers around the city! Following these simple steps is a great way to prepare yourself and your pet for the spring and summer!